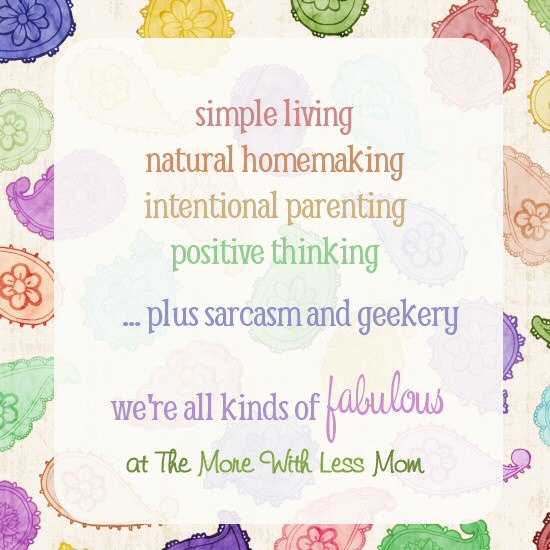 The More With Less Mom helps fed-up moms who feel like they are struggling and overwhelmed, to stretch dollars, keep their sanity, and enjoy life through advice, tips, and encouragement. This frugal family blog helps you do more with less. Words of wisdom to live frugally and well. Much of the challenge for a frugal family is having limited resources. You don’t have enough money, you don’t have enough time, or both. I can show you how to stretch your dollars, spend less on food, and have more fun with your kids, without breaking the bank. I will teach you how to do the best you can with what you have. 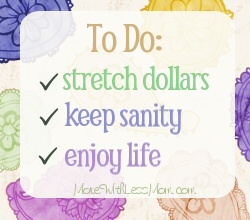 Your New To Do: stretch dollars, keep sanity, enjoy life.